And at last, the first Disney animated feature from Marvel is finally here. The first trailer is now available featuring the main protagonist Hiro Hamada and his mecha companion Baymax. Enjoy this cute but epic first look on the film. With all the heart and humour audiences expect from Walt Disney Animation Studios, "Big Hero 6" is an action-packed comedy-adventure about robotics prodigy Hiro Hamada, who learns to harness his genius—thanks to his brilliant brother Tadashi and their like-minded friends: adrenaline junkie Go Go Tamago, neatnik Wasabi, chemistry whiz Honey Lemon and fanboy Fred. When a devastating turn of events catapults them into the midst of a dangerous plot unfolding in the streets of San Fransokyo, Hiro turns to his closest companion - a robot named Baymax - and transforms the group into a band of high-tech heroes determined to solve the mystery. Inspired by the Marvel comics of the same name, and featuring comic-book style action, "Big Hero 6" is directed by Don Hall ("Winnie the Pooh") and Chris Williams ("Bolt"), and produced by Roy Conli ("Tangled"). Slated for a November 2014 release in US. 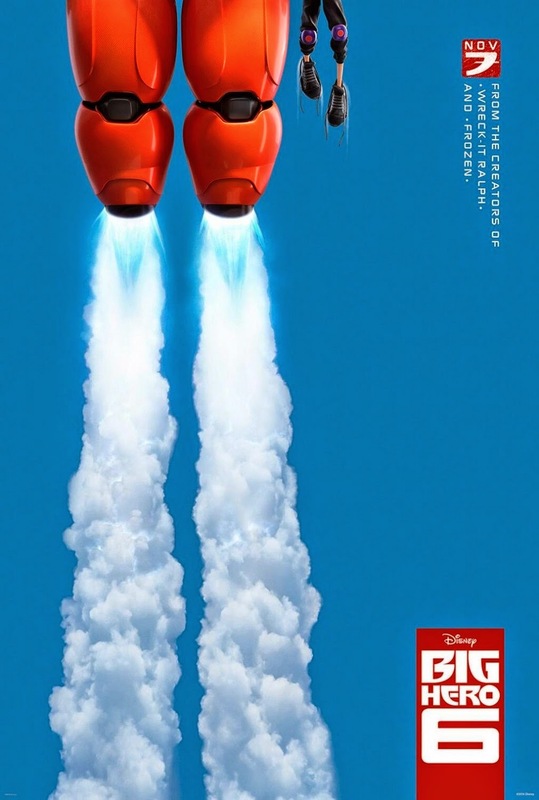 Big Hero 6 is to be distributed by Walt Disney Pictures.